Could Congolese refugees bring Ebola to America? That is a possibility presented by Aaron Klein writing at World Net Daily this week, here. Hat tip: several readers. We briefly noted the fact that Ebola, although supposedly a different strain than the one making the news, is present in DR Congo. And, we are bringing a huge number of Congolese refugees (DR Congo) to America at the UNHCR’s urging—50,000 by 2019, see our post yesterday. We admitted 4,540 Congolese refugees to the US in FY2014 which ended on Sept. 30th, 2014 (go here, map is incorrect, scroll down to table). However, I think a greater long-term threat to America is what we reported yesterday—Congolese women in need of mental health treatment raising children in some impoverished home in your town or city. Remember readers! Refugee health treatment is the responsibility of your local health departments! See our health issues category here for what other diseases and health problems (including mental health) you are responsible for. Since an outbreak of Ebola hit the Democratic Republic of the Congo in July, the Obama administration has brought into the U.S. at least 1,900 refugees from the disease-stricken nation, WND has learned. Required medical screening for refugees may not detect all diseases. The mandatory blood and urine tests for all refugees would not detect Ebola. The strain of Ebola found in the Congo is slightly different from the virus that has been ravaging West Africa. Researchers have concluded the Congolese outbreak is not connected to the epidemic in West Africa. The U.S. refugee program this year is on pace to resettle 70,000 citizens, including a limit for the fiscal year of 2014 of 14,000 from Africa, with the State Department giving priority to Congolese refugees. Since July, at least 1,900 Congolese refugees have been resettled within the U.S., according to statistics provided by the State Department. A report from the Bureau of Population, Refugees, and Migration shows 944 refugees were admitted from the Congo in July; 628 in August and 338 in September, for a total of 1,910 Congolese refugees. The exact number of arrivals from the Congo for this month are not yet published. However, the total number of October arrivals so far from the region of Africa, according to the State Department, is 934, with most likely coming from the Congo. The Congo has had its own outbreak of Ebola that started in late-July reportedly after a hunter brought home an infected bush animal carcass. Since then, 49 people have died in the Congo. There is much more, read it all. *** See all of the articles on refugees and the US resettlement program in recent months by World Net Daily reporter Leo Hohmann by clicking here. See especially American mayors saying STOP! More in our ‘invasion of Europe’ series…..
Germany has open its doors to tens of thousands of refugees from the Middle East and Africa (trying ever-so-hard to look like good people), but is now reaping the whirlwind as they run out of space to house them and resort to Oktoberfest beer hall tents in King Ludwig’s Bavaria. Bavaria has been overwhelmed by an unexpected flood of refugees with as many as 300 a day arriving in Munich, many of them fleeing the violence in Iraq and Syria. The accommodation shortage in the city is so severe that authorities have considered using one of the vast tents left over from the Oktoberfest beer festival to house refugees. Families are being put in makeshift shelters ranging from a former table-dancing bar to the Munich Olympic stadium. But with many currently in tents and the Bavarian winter looming, authorities are warning that they need proper accommodation as quickly as possible. Munich’s main refugee centre at Bayernkaserne, a former military facility, has become so overcrowded that it has been forced to shut its gates to new arrivals. Designed for 1,200 people, it is currently housing twice that number. After the centre closed, new arrivals began camping in the open outside the gates. Shuttle buses are now picking up refugees outside the Munich centre and taking them to temporary accommodation in other cities. Bavaria has been particularly badly hit because Munich lies on two of the most popular refugee routes into Europe, via Italy and the Balkans. See our growing archive on Germany. Ever wanted to visit Germany? go now before it’s too late. With a foothold in Germany, these “refugees” will never leave. I see no way out for Germany, do you? Pretty rotten timing for this demand wouldn’t you say? 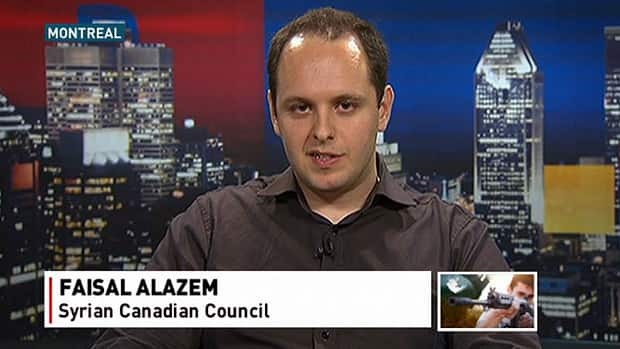 Alazem wants an explanation of why Canada is dragging its feet. Gee, let me guess! By the way, most Syrian refugees being resettled around the world right now are Sunni Muslims from UN run camps. Humanitarian groups want Immigration Minister Chris Alexander to immediately let 10,000 Syrian refugees settle here and they want an explanation why the Canadian government is dragging its feet when it comes to resettling Syrians. In 2013, Ottawa promised to admit 1,300 Syrian refugees yet the groups say only 200 people have been accepted into Canada, said Faisal Alazem, a Syrian-Canadian with the humanitarian group the Union of Syrian Medical Relief Organizations. The union helps set up field hospitals inside Syria. “There is never a clear answer. There are always answers that deflect you. We hear a lot that Canada prides itself in hosting one in every 10 (world) refugees. But our estimate is that there are not more than 200 Syrian refugees here, so far,” he said, referring to the 2013 promise. Read it all (but you won’t find the words Christian Syrians if that is what you are looking for). U.S. Senator John McCain sent a letter to Secretary of State John Kerry on Thursday to raise concerns about Iranian opposition members in Camp Liberty, Iraq, whose lives are increasingly at risk as the security situation in Iraq, particularly in Baghdad, continues to deteriorate. “I am writing you to follow-up on the response I received in August to my previous letter concerning the ongoing refugee resettlement process and to discuss my continuing concerns about the residents of Camp Liberty,” writes Senator John McCain. “As you are aware, due to the increasingly dangerous threat of the Islamic State of Iraq and Syria (ISIS), the resettlement process has stalled, and many fear that the people at Camp Liberty could be at grave risk if the security situation in Iraq, and especially in Baghdad, continues to deteriorate. “For this reason, the Administration must move more quickly to find safe, permanent, and secure locations for Camp Liberty residents outside Iraq. I was encouraged to hear about Albania’s willingness to temporarily host some Camp Liberty residents for purposes of identifying individuals for relocation to the United States. Although we might have sympathy for the dissidents’ plight, is it our job to take in the squabbling factions from the Middle East? Just asking! McCain’s press release is here. And, by the way, where is Obama pal Samantha Power and her doctrine—the Responsibility to Protect? And, come to think of it, why can’t the UN protect them?